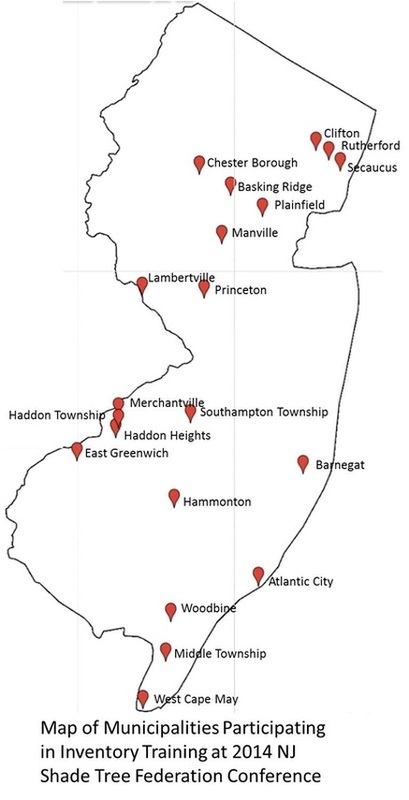 A partnership between NJ DEP, The NJ Shade Tree Federation, State Forestry Services, and Rutgers University seeking to help municipalities develop tree inventories. Join us! Share your inventory! The purpose of this website is to assist communities in creating inventories of their urban tree resources with an aim toward responsible management and planning. By paging through the resources provided here cities or individuals will be able to determine what measurements they may want to be recording for each of their trees. Depending on how a community plans on using their inventory different metrics should be observed and recorded.